Allen Ginsberg Papers - Stanford University. Collection contains correspondence, manuscripts by Ginsberg and other poets and authors, business records, notebooks and journals, clipping files, books, periodicals, audiotapes, videotapes, photographs, and posters. Allen Ginsberg Project - Official site of Allen Ginsberg Trust. American Museum of Beat Art (AMBA) - An archive and collection of works and artifacts pertaining to the Beat Generation, it's writers, poets, artists and their offspring. Ashcan Rantings and Kind King Light of Mind - J.C. Shakespeare explains why the Beats still matter. Beach Archive - A collection of correspondence and manuscripts submitted to the editors of Beach Books, Claude Pelieu and Mary Beach, during 1962 and 1973. Collection highlights include manuscripts/letters written by Carl Solomon, Allen Ginsberg, Allen de Loach, Gregory Corso, Lawrence Ferlinghetti, John Giorno, Timothy Leary, and Peter Orlovsky. Beat Generation - From Literary Kicks. Jack Kerouac, Allen Ginsberg, Neal Cassady and William S. Burroughs, and more. Beat Generation: Audio and Video Materials in the UC Berkeley Libraries - UC Berkeley Libraries collection of Beat material. 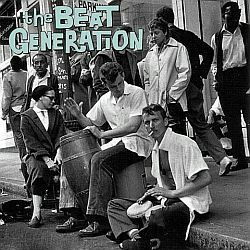 Beat Generation Archives - Articles by or about the Beats, Beat Generation sites, related bookstores and writer's tools. Beat Museum - 540 Broadway (at Columbus), San Francisco, California. Beat Page, The (RookNet.net) - Dedicated to the movement that began in the early 1950's with a small and tightly connected group of young writers who demonstrated a care-free, often reckless and unquestionably fresh approach to literature as well as a demonstrative social stance toward "The Establishment ". The term "Beat" was reportedly coined by Jack Kerouac in the late 1940's, but became more common at about the time that writers like himself, Allen Ginsberg and Lawrence Ferlinghetti were beginning to get noticed. It became a slang term in America after World War II, meaning "exhausted" or "beat down" and provided this generation with a definitive label for their personal and social positions and perspectives. Beat Quotes - Quotes by or pertaining to a beat author. 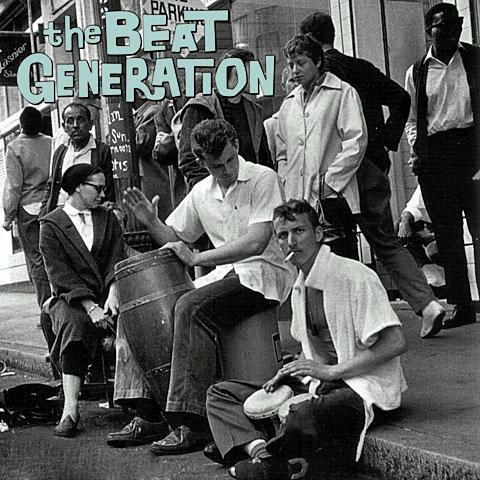 Beat Scenes - Magazine of the Beat Generation. Beat Super Nova - Beat archives. BeatBooks - BeatBooks of London specializes in rare and used books, magazines and ephemera from the Beat Generation, the Sixties CounterCulture, and the Avant-Gardes. Beatitude - Dedicated to the beat poet Bob Kaufman. Bohemian Ink - Underground literary review. Burroughs On-Line - A partial index of online works by, and interviews with William S. Burroughs. City Lights Booksellers and Publishers - Beat literature and history. Cultural Chronology of Early Beat Generation Literature - Compiled by Larry Smith. DHARMA beat - Dedicated to Jack Kerouac's life and writings. Empty Mirror Books - Sells new, used, and hard-to-find books, audio, & video, specializing in modern & small-press poetry and the Beat Generation. Forest Beatniks - Clarifies the imperatives of those who came after such authors as John Muir, Henry David Thoreau, and Robinson Jeffers, pointing to Kenneth Rexroth's "distinct reverence for the natural world" and William Carlos Williams's Paterson ["an effort at knowing one's specific locale with minute intimacy: its people, its history, its land, and its rivers"] as examples of the ecological deep-mindedness that influenced the Beats. Harry Smith Archives - Smith's long term friendships with many of the Beat writers led to the release of Allen Ginsberg's First Blues in 1976 as well as unreleased recordings of Gregory Corso's poetry and Peter Orlovsky's songs. How Beat Happened - From the swinging confluences of jazz and rap in Mission nightclubs, to the reinvigoration of poetry as bearer of the news among young people from slams to 'zines, to the warp-accelerated potlatch of ideas in online communities like the WELL, the "vibrations of sincerity" (as Jack Kerouac put it) championed by the writers of the Beat Generation have fired up a new generation of best minds in San Francisco. This is poetic justice, for it was here that the Beats made themselves known to the world as a public force, on the night of Allen Ginsberg's first public reading of Howl at the Six Gallery on October 13, 1955. Jack Kerouac Papers - Maintained by the New York Public Library. The collection spans the years 1920 to 1977, with the bulk dated 1935 to 1969, hiefly consisting of holograph and typescript drafts of Kerouac's novels, stories, poetry, plays and screenplays, journals, diaries, notebooks, autobiographical and spiritual prose, fantasy horseracing, and fantasy baseball game. Other materials include Jack Kerouac's artwork, incoming and outgoing correspondence, photographs, personal and financial papers (including bank statements and canceled checks), publishing contracts, newspaper cuttings, maps, and realia. La Scena Beat - Italian. From Beat Italiano by Tiziano Tarli. Litkicks: The Beat Generation - Jack Kerouac, Allen Ginsberg, Gary Snyder, William S. Burroughs, Neal Cassady, Jazz, Buddhism, questions and discussions. Michael McClure - Home page for Michael McClure, including selections of his poetry and essays, and extensive commentery on his work by a wide range of critics. Michael McClure and Ray Manzarek Official Website - Focuses on their collaboration of music & poetry as well as their individual projects & publications. Includes information on performances, readings, books, CDs, and videos. Naropa Poetics Archive - The Naropa University Archive Project is preserving and providing access to over 5000 hours of recordings made at Naropa University in Boulder, Colorado. The library was developed under the auspices of the Jack Kerouac School of Disembodied Poetics (the university's Department of Writing and Poetics) founded in 1974 by poets Anne Waldman and Allen Ginsberg. It contains readings, lectures, performances, seminars, panels and workshops conducted at Naropa by many of the leading figures of the U.S.literary avant-garde. Original Beats - A short documentary film by François Bernadi on Gregory Corso and Herbert Huncke. Original Interviews with Beat Generation Personalities - The Beat Papers of Al Aronowitz: Jack Kerouac, Allen Ginsberg, Neal Cassady, Joyce Johnson, The San Francisco Renaissance, Robert Lavigne, Michael McClure, Gary Snyder, and more. Portraits of the Beat Generation - Harry Redl's beat photographs. PARIS - The Beat Hotel - Photographs by Harold Chapman. Ginsberg. Corso. Burroughs. A few of the poets, writers, musicians and artists who lived in the "Beat Hotel," a nameless rooming house at 9 Rue Git-le-Coeur run by the formidable Madame Rachou. The "fleabag shrine" as poet Harold Norse called it, was lovingly and penetratingly documented in photographs by Harold Chapman, who took up residence in an attic garret of the Parisian hotel during the 50s and 60s, when the place was alive with the Beat experimentation and the smoke-filled air crackled with creativity. Skyline Books - Modern, beat and counterculture literature. Six Gallery - The Six Gallery was a small art gallery in a former auto repair shop near the intersection of Union and Fillmore in San Francisco. Kenneth Rexroth came up with the idea to showcase a few of his young poet friends in a joint reading, and five promising unknowns were selected. Much legend surrounds this event, which took place on October 7, 1955, though the date is sometimes given as October 13 and Michael McClure himself states in his book Scratching The Beat Surface' that it took place in December. Unspeakable Visions: The Beat Generation and The Bohemian Dialectic - By Michael Hayward. Examines the history of the Beat writers in print [including Jack Kerouac, Allen Ginsberg, William S. Burroughs, Gregory Corso, Gary Snyder, Michael McClure and Lawrence Ferlinghetti], the relationship of these writers to the publishing industry, and the roles the publishing industry played in the transformation of a few outspoken avant-garde writers into the spokespeople for a Generation. Venice West and the LA Scene - Charles Bukowski, John Thomas, Philomene Long, the LA Beat Scene and Venice West. This webpage last updated on Friday, August 11, 2017 2:52 AM.